Send Rose Garden Valentine to Chennai. Gifts to Chennai. Send Flowers to Chennai. 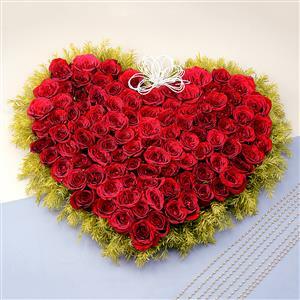 Description : Wanna win his/her heart, then send this garden of 100 Fresh Dutch Roses with baby wreaths which says, "I Love you Darling"